Small Animal Talk: What do plane crashes have to do with veterinary medicine? What do plane crashes have to do with veterinary medicine? What do plane crashes have to do with veterinary medicine? On the surface, not a lot. But dig deeper and there’s much we can learn from air plane incidents and the crews that rise to the occasion. I’ve held a fascination for air crash investigations (and Air Crash Investigations), motivated in part by a “concern” about flying. 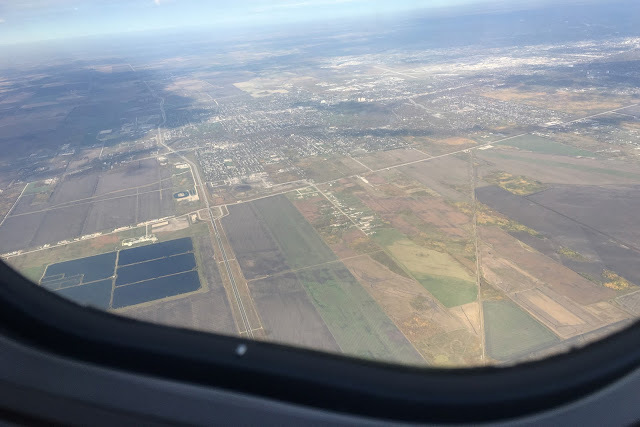 When I visited Canada last month for the One Welfare Conference and mentioned to delegates that one of the things I knew about Air Canada was the famous GimliGlider incident, a number of them spoke to me about the incident with awe and pride. I was even taken on a tour of the site of the landing – in which all 61 souls on board survived – by a very generous colleague. (You can watch the episode about Air Canada flight 143 from Edmonton to Winnipeg here, and understand why Bob Pearson is one of the top ten guests I'd invite to a dinner party if I could). The thing about air crash investigations is that they really have perfected the morbidity and mortality conference. Veterinary teaching hospitals have caught on and now investigate incidents and “near misses” like their medical counterparts, but nothing surpasses the rigor of the air crash investigation. For those who are nervous about flying, investigations like these are a comfort for several reasons. Firstly, they usually prove that a series of errors, oversights or misses are required to cause a catastrophe. Secondly, they result in changes – the aircraft system is changed, parts may be recalled, so a similar incident never happens again. And third, it’s good to know that a whole industry is focused on learning maximally from errors. So it was that I found myself engrossed in Highest Duty by US Airways pilot Captain Chesley Sullenberger (aka Sully) and the late Jeffrey Zaslow, on the flight back to Australia. For those who don’t know, Sullenberger led a team who landed Flight 1459 into the Hudson River after a terrible (for the birds and the engines) bird strike which destroyed both engines of the plane. They had 208 seconds between bird strike and impact on the water to make decisions which saved the lives of all 155 people on board – but they had no chance to prepare. (You can see a documentary about it here) (I acknowledge that it is no small matter that bird strike is termed for its impact on the plane, not the Canada Geese who were killed in this incident. It is likely that they were killed instantaneously). 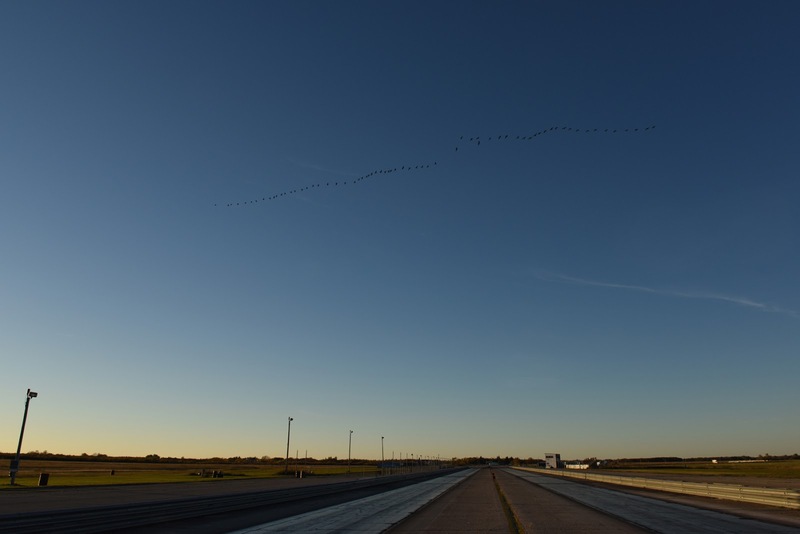 Canada Geese fly over the racetrack at Gimli, where an Air Canada flight made an emergency landing back in July 1983. In these case birdstrike was not a factor, but when I visited the track the birds happened to be there. The book contains a fascinating account of Captain Sullenberger’s incredible training, but also a couple of memorable insights that I’ve picked out here. “A delay is better than a disaster” – this was a quote that Captain Sullenberger had found in a fortune cookie and kept. In any profession where lives depend on operators, be they pilots or surgeons, preoccupation with meeting targets and being fast can cost lives. As Sullenberger wrote, “Integrity is the core of my profession. An airline pilot has to do the right thing every time, even if that means delaying or cancelling a flight to address a maintenance or other issue, even if it means inconveniencing 183 people who want to get home, including the pilot. By delaying a flight, I am ensuring they will get home. I am trained to be intolerant of anything less than the highest standards of my profession. I believe air travel is safe as it is because tens of thousands of my fellow airline and aviation workers feel a shared sense of duty to make safety a reality every day. I call it a daily devotion to duty. Its serving a cause greater than ourselves.” (p320). Systems change and they can be flawed. Throughout the book, while not placing any blame on any airline, Captain Sullenberger discusses the way airlines and protocols have changed, sometimes emphasising profit over safety. He provides a lovely overview of the system he works within, a perspective that can be lost when you’re in the thick of things. This is important in campaigning for change. Sullenberger points out, throughout his book, that the things that make him great at his job – like putting feelings aside in times of crisis, being out of contact and away a lot, being very analytical, and being lovely to passengers, crew and later all of the people who recognised him from the news – make him less great at relationships. Hurrah for the honesty. “I try,” he writes. “But sometimes, by the end of the day, you can feel like you’ve said everything you’ve wanted to say.” (p75). And this: “I’m cordial and gracious to everyone, and genuinely interested in their stories. Sometimes, when I get home, I can be frazzled and used-up and short-tempered. I can be impatient with the girls. ‘You have your priorities wrong,’ Lorrie has told me firmly. ‘As nice as you are to strangers, that’s the same nice you need to be to me and the girls’” (p314). Anyone been there? The best job in the world is “the job you would do if you didn’t have to”, because that is what will motivate you to “toil in obscurity” and work hard. “People who love their jobs work more diligently at them. They become more adept at the intricacies of their duties. 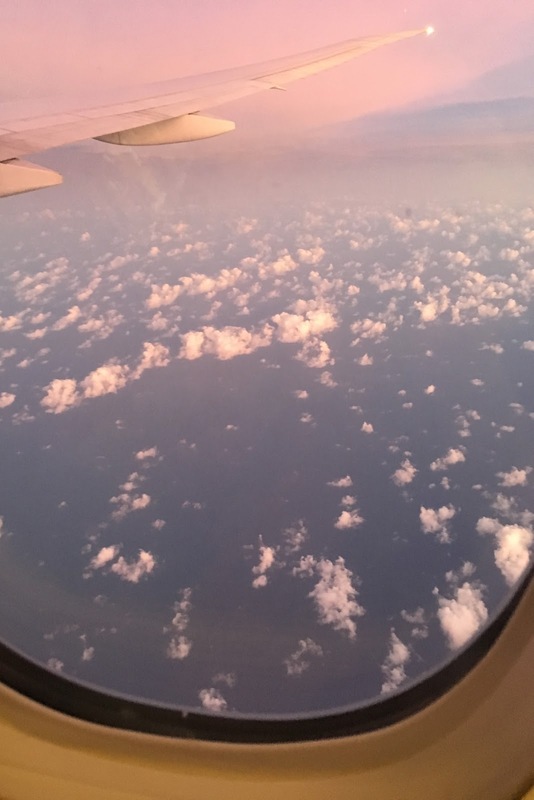 They serve the world well…I flew thousands of flights in the last forty-two years, but my entire career is now being judged by how I performed on one of them. This has been a reminder to me: we need to try to do the right thing every time, to perform at our best, because we never know which moment in our lives we will be judged on.” (p327). What’s most inspiring is the nature and extent of training he did, but also the fact that he’s humble. His entire team – like the veterinary team – had to think under pressure, work out which rules would help and which ones to discard to save lives. Captain Sullenberger’s book is definitely worth a read, and probably a bit more educational – and I’d say inspirational – than the film. You can find it here http://www.harpercollins.com.au/9780062561206/ Next on my reading list is QF32 by Richard de Crespigny, about this flight.